today nicely traded this stock. Technical potha wediyata share eaka ahasata visi kara dakana uda waruwa . Now Williams r - 7 but roc 57 and atr 0.8 then this should have to trade 300 k selling oder with out many buying. Because technically Williams r- 25 and atr have to drop from then price will trad 13 with 12 . 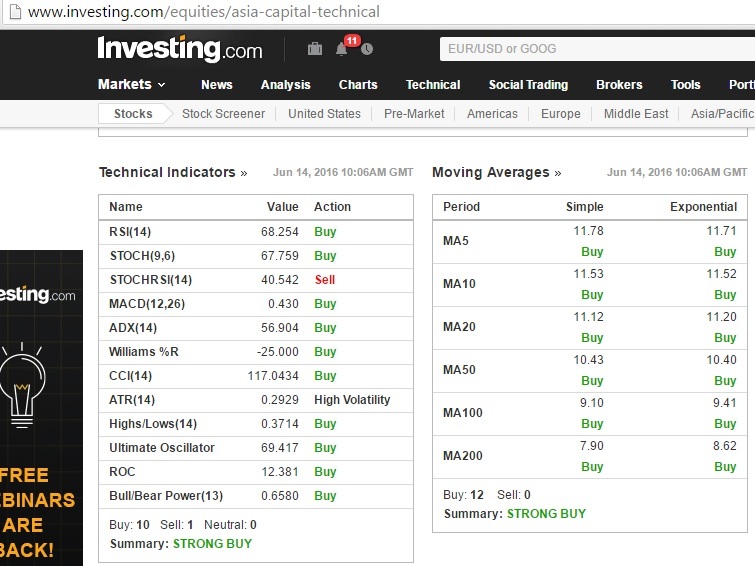 Or if this buying continue few days unexpectedly atr will increase even good green Day can be up 15% 23% because of atr indicating . showing your values but still strong buying. My opinion is buy this is value of 9.60 rs..
yes you can buy this stock 9.6 three weeks before. but this time not sure. Atr 0.94 stochastic 0 share got the worthy trading level of 11 and coming two three days can see a larger versions to up trad . @karuna wrote: Atr 0.94 stochastic 0 share got the worthy trading level of 11 and coming two three days can see a larger versions to up trad . see alpha beta gamma value before buy..
How was your mfl moving to heaven..
today around 210000 stocks traded. I think another Price Band on Monday or Tuesday. maybe ACAP will touch 15 level Monday or Tuesday. hopefully tomorrow will stay 12-13 level. 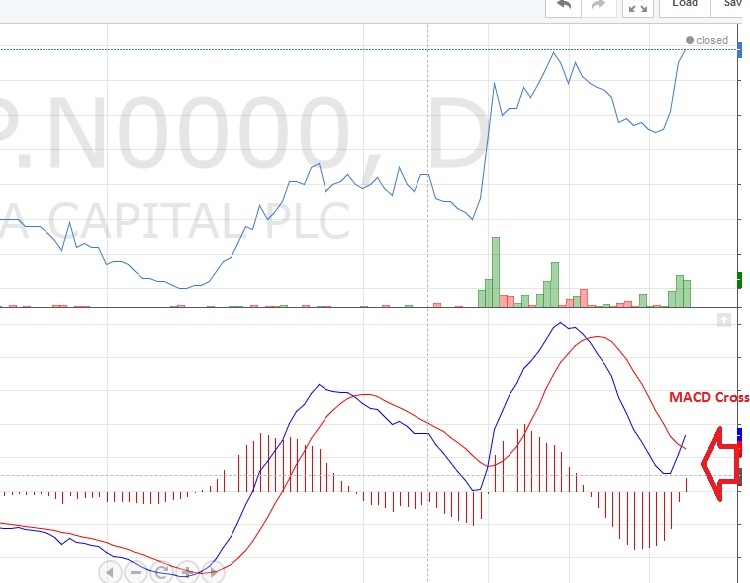 ACAP is forming to be a nice trading stock. There are lot of chances to buy at low and again sell at high. 10k shares at a time for several times can earn a smart trader 100% return in few months. Yes. I noticed this pattern. A good signal of going up. Last Friday was the day to establish positions. Dear Chinwi , EC and Mubin DO you need clarification about financial report. there is no issue. still you guys need clarification about it. no one reply. if you got idea please tell me. ACAP correct speed to break 15 level in short term. I cannot solve. Company > Group . 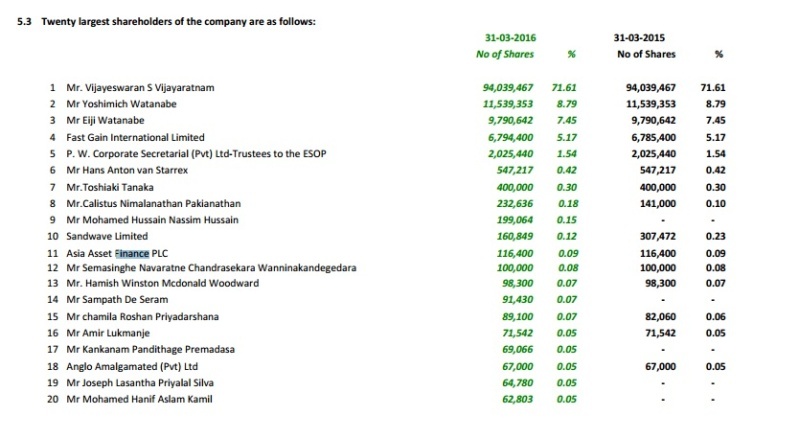 Invested in subs taken as revenue da ? ACAP has increased heavily on hotels. That is why I thought it may consolidate for some time and then go up in revenue when hotels run in full capacity. i nothing if u sold or not . how many time u freak hexp investors ? at least u had to say only one share 250% return with last two year if u said like that i relay apologize .